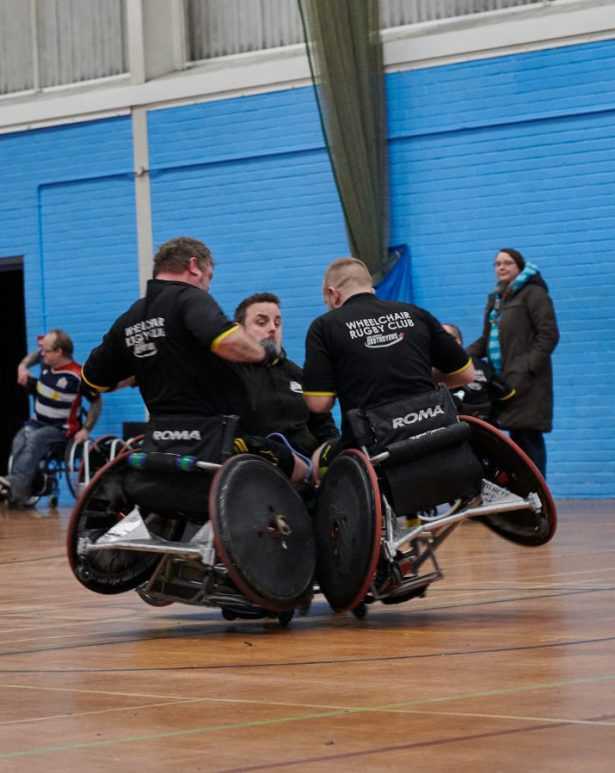 4Com are proud to be supporting local wheelchair rugby club The Dorset Destroyers as they bid to break the World Record for longest wheelchair rugby game. The event which begins on Saturday 17th March 2018, will see a team of approximately 40 attempting to play almost continually for over 24 hours in order to break the record and they hope to raise £10,000 in the process. The Destroyers, who are based in Parkstone, Poole, were founded in 2014 and are one of only a handful of clubs in the South of England. Their reach covers the whole of Dorset, Somerset and Wiltshire and since their inception they’ve gone from strength to strength giving players, some of which have significant life-changing injuries and illnesses, the chance to play a sport they love. The charities benefitting from the event are the RSBF (Royal Signals Benevolent Fund) and Cakes 4 Casualties. The RSBF supports both serving and retired Royal Signals Soldiers, which is how 4Com came to be involved. 4Com Director Dean Cartledge raised over £7,000 whilst running the London Marathon for the RSBF last year, so when the Destroyers were discussing sponsorship with the RSBF, 4Com were a natural connection. To donate to the event, please click here to visit The Dorset Destroyers Crowdfunding page. The Royal Signals Benevolent Fund (RSBF) is a charity that helps both serving or retired Royal Signals soldiers and their families who are in need of support or suffering hardship or distress. The charity has granted £1 million of benevolence in the past three years to serving or retired Signallers and helps close to 600 soldiers/veterans every year. Cakes 4 Casualties is a Birmingham based charity run by Kath “The Cake Lady” Ryan, which was established in 2009. Kath visits Queen Elizabeth Hospital every week, delivering a variety of homemade cakes to the wounded, injured and sick service personnel and their families, and once a month visits Headley Court Rehabilitation Centre and the Haslar Company. Over the past 8 and a half years, visits from Cakes 4 Casualties have not only provided cakes, but a huge boost to morale, helping with personnels’ physical and mental recovery.